Ok, so I wanted to play a forum game, shall we? NOTE: No DPs involved. This is just for fun. Whoever answers it correctly makes the next question...and it continues as this...if the question gets like, 3 wrongs, a clue must be given. Which of these is the odd one out, and why? Only 1 answer is correct. EDIT : If it reaches 10 wrongs, say the answer and make another question, or choose someone to do so. Also:Questions/puzzles have 3 days to get the right answer by the riddler. If not, anyone can make a question. Nunchaku. Its a weapon st<i></i>yle. RE: MK trivia questions...Can you do it? Nunchaku. Its a weapon style. Yeah, the obvious answer...sorry bud but it's wrong. <br/> <br/>Think diferently...:legacy_mk_wink: EDIT : What's the pic of your avatar? Yeah, the obvious answer...sorry bud but it's wrong. Think diferently... EDIT : What's the pic of your avatar? Xing Yi. It's the only one without an 'a'. Oh, man...surprised I got it. I'll make mine fairly easy, cause I can think of anything better. Here goes. <div class="forumQuote"><b>Shinnok619 Wrote:</b><br/>EDIT : What's the pic of your avatar?</div> <br/>Its an edited pic from the Sonic the Hedgehog Comic. EDIT : What's the pic of your avatar? Its an edited pic from the Sonic the Hedgehog Comic. Martial Arts Club Girl: Siobhan? Lol. Yes indeed. Well done. I do .... than question you ......., i ......... you! Lol. I guess it's just us playing this.. <br/> <br/>I do more than question you, Shinnok. I challenge you! <br/> <br/>Then you shall die. Lol. I guess it's just us playing this.. I do more than question you, Shinnok. I challenge you! But you guessed correct, bravo! Haha. Okay. 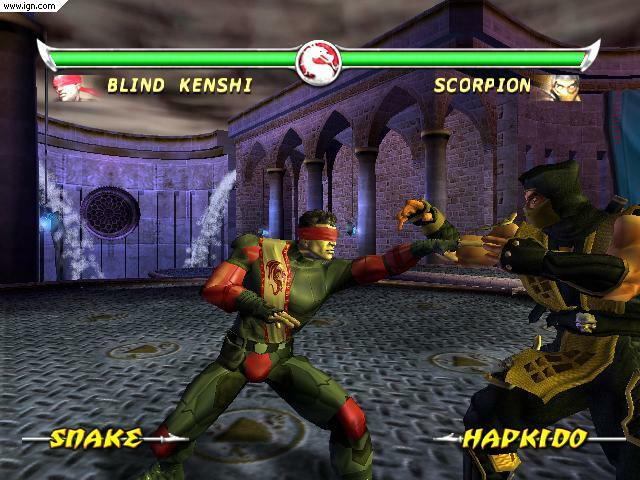 <br/> <br/>Which character during the beta phase of Mortal Kombat Deadly Alliance used the Snake stance? Which character during the beta phase of Mortal Kombat Deadly Alliance used the Snake stance? <div class="forumQuote"><b>Tundra7654 Wrote:</b> sub-zero if i remember right</div> <br/>Nope....try again. :legacy_smile: <br/>Also, made a mistake...<b>Mokap</b> used a stance that the character received in the final product. Lo siento! Also, made a mistake...Mokap used a stance that the character received in the final product. Lo siento! 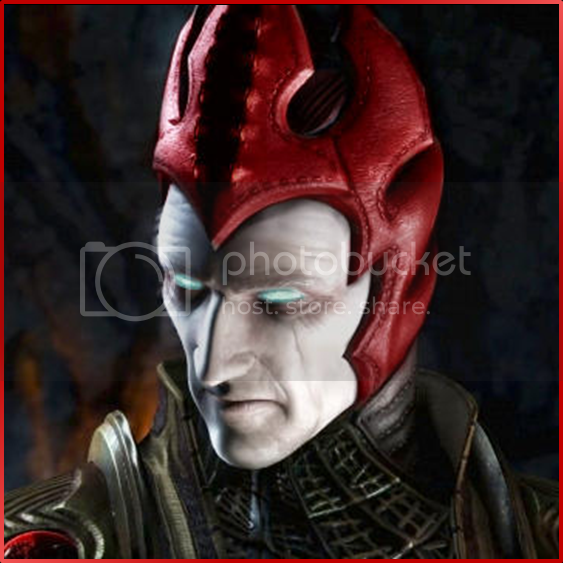 <div class="forumQuote"><b>Shinnok619 Wrote:</b><br/>Kenshi? !</div> <br/>Yup. Good work! <br/> <br/>Edit: Yup. I have proof. View image to look past the watermark. Kenshi used Snake. 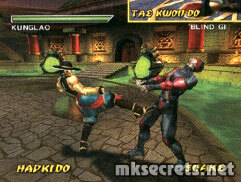 <br/><img src=http://www.mksecrets.net/images/mkda/mkda-dev43.jpg> <br/>Also, better <a href="http://ps2media.ign.com/ps2/image/mortal_kombat1.jpg">picture</a>. <br/><a href="http://www.youtube.com/watch?v=VOI5saNFEvo#t=0m38s">Video</a>. At 53sec, you can see him fighting Sonya. 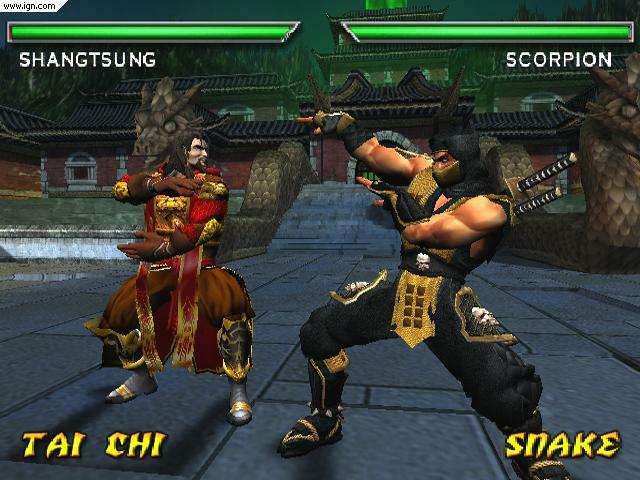 <br/> <br/><a href="http://ps2media.ign.com/ps2/image/mortal_kombat10.jpg">Shang</a> had Tai Chi originally (you can see Scorpion also used Snake, but he and Mokap didn't share a stance :legacy_mk_tongue:), but he and Kenshi switched st<i></i>yles. Edit: Yup. I have proof. View image to look past the watermark. Kenshi used Snake. Video. At 53sec, you can see him fighting Sonya. Shang had Tai Chi originally (you can see Scorpion also used Snake, but he and Mokap didn't share a stance ), but he and Kenshi switched styles. Do you have ny pics of him doing that?? <br/> <br/>Not doubting, just...checking:legacy_mk_tongue: <br/> <br/>Ok, so... <br/> <br/>Who is Gohsk and what does he want? :legacy_mk_confused: Edit: Wow, he looks so odd in that...but Shang with Tai Chi is Awesome! Do you have ny pics of him doing that?? Who is Gohsk and what does he want? Edit: Wow, he looks so odd in that...but Shang with Tai Chi is Awesome! <div class="forumQuote"><b>Shinnok619 Wrote:</b><br/>Do you have ny pics of him doing that?? <br/><br/> <br/><br/>Not doubting, just...checking:legacy_mk_tongue: <br/><br/> <br/><br/>Ok, so... <br/><br/> <br/><br/>Who is Gohsk and what does he want? :legacy_mk_confused: <br/> <br/>Edit: Wow, he looks so odd in that...but Shang with Tai Chi is Awesome!</div> <br/> <br/>Gohsk is a bully who is looking for revenge against Braan. MKDeception Konquest FTW. Who is Gohsk and what does he want? Edit: Wow, he looks so odd in that...but Shang with Tai Chi is Awesome! Gohsk is a bully who is looking for revenge against Braan. MKDeception Konquest FTW. Outstanding, King. <br/> <br/>Your turn. Name the 4 cyborgs of the series and their designated unit code.